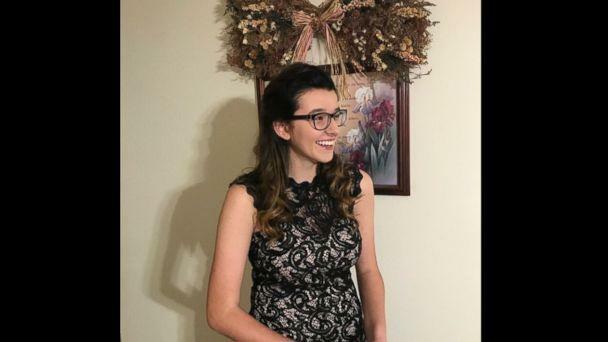 The parents of a Kentucky teenager who was fatally shot in a mass shooting at her high school this week said their daughter called them as the violent scene unfolded in the background. Bailey Holt, 15, was one of two students killed at Marshall County High School in western Kentucky on Tuesday after a classmate allegedly opened fire, killing them both and injuring at least 18 others, authorities said. "She called me and all I could hear was voices, chaos in the background," Bailey's mother, Secret Holt, told ABC affiliate WKRN on Wednesday. "She couldn't say anything and I tried to call her name over and over and over and she never responded." "We rushed to the high school, and they wouldn't let us get through," she said. Secret Holt said she knew something was wrong when she didn't see her daughter on any of the buses that were used to transport the surviving students to a nearby school. "We waited and waited for her to get off the buses and she never did," Secret Holt said. "The principal at North Marshall came and got me, and took us outside and we got in a cop car and they took us to the fire department and told us what had happened." She described Bailey, a sophomore, as a sweet child who loved to help others. "Even though she was 15, she had already decided her career was going to be a labor and delivery nurse," Secret Holt said. "She helped others ... she was just so kind-hearted and the most amazing kid anybody could ever ask for. Her smile could light up the room." Her father, Jasen Holt, told WKRN that she was "perfect in every way." "She was an angel here on earth," he added. "She was a perfect angel." Police said they arrested a 15-year-old male suspect in connection with the shooting. They did not release his identity, but witnesses said he was a fellow student at Marshall County. He faces preliminary charges of murder and assault as authorities try to figure out what may have prompted the attack. Secret Holt said she would pray for the shooter, but she isn't sure if she will ever be able to face him. "I don't know if I can go to court and see him. I just don't know if I can, but I want him to pay for everything he's done," she said. "I also want to pray for him, too, because I know he's probably having a hard time too, but he took our baby. He still took my baby from me." "Whatever that kid had going through his mind, I don't know," she added. "But if he needed a friend, I know she would've been a friend to him and talked to him about anything he needed, because that's just the kind of person she was."